Tinea pedis, or athlete’s foot, is one of the most common pedal dermatologic skin complications. Worldwide, 70% of the population will be infected with tinea pedis at some time.1 This dermatophytic invasion of the skin’s stratum corneum usually is transmitted by direct, person-to-person contact. Many populations can be considered at high risk of tinea pedis, including the immunocompromised (such as people with diabetes or who take a corticosteroid chronically), athletes, and members of the military. Diagnosis of tinea pedis is usually clinical, based on location; the patient’s complaints of itching and burning; an appearance of dryness, scaling, and blistering; and significant, persistent maceration of the interspaces. For many clinicians, diagnosis is made based on signs and symptoms alone, at which time empiric treatment for tinea is initiated. Confirmation of the diagnosis can be made using direct microscopy of skin scrapings exposed to potassium hydroxide (KOH prep) or by fungal culture, but a negative KOH prep or negative fungal culture does not always exclude symptomatic pathology. In 2002, Cohen and colleagues published data on an Athlete’s Foot Severity Score (AFSS) that is based on a clinical diagnosis of tinea pedis in 224 soldiers in the Israeli Defense Force.2 The AFSS was designed to assess tinea pedis in a military setting, as an athletic trainer might use a similar tool to evaluate athletes. The AFSS clinical examination yields a numerical score after 1) evaluating for erythema and scaling and 2) documenting the number of involved interspaces. Higher scores signal the potential for complications of tinea pedis, leading the investigators to propose risk modifiers for tinea pedis among the soldiers. It is generally believed that athletes are at particular risk of developing tinea pedis. Environments in which many athletes train and participate potentiate their exposure to the fungus (usually, Trichophyton rubrum) and promote its transmission and growth. Contributing factors include occlusive shoes, excessive sweating (leading to moisture build-up, shear, and friction), and shared shower and locker room floors. Pickup and colleagues10 reported a 69% incidence of fungal infections among male professional and collegiate level soccer players, compared with a 20% incidence in non-athletes. Given this high rate of occurrence of tinea pedis among athletes, and the fact that, regardless of level of participation, fungal infections can cause them to miss time in training and competition, the author’s study described here sought to gain knowledge of, and experience with, the use of copper-impregnated socks during the preseason training camp for a collegiate football program. The study design is a large case series undertaken for both quantitative and qualitative results. 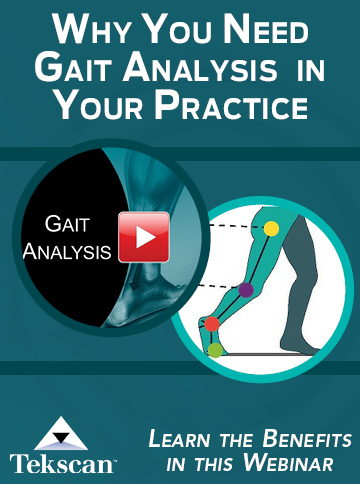 Additionally, the trial was set up to mimic a real-world scenario, including diagnosis made based on clinical symptoms alone, as is often done by podiatrists and athletic trainers. The copper-impregnated sport sock utilized in this study has the technology incorporated in the boat or along the foot region of the sock (Figure 1, above). The technology is a proprietary, protected blend of copper-based compounds that is permanently and homogenously introduced throughout the yarn during production. This technology can be either low load or high load, depending on the final concentration of the blend and its desired attributes. The copper-enhanced sport sock in this study featured low-load technology. 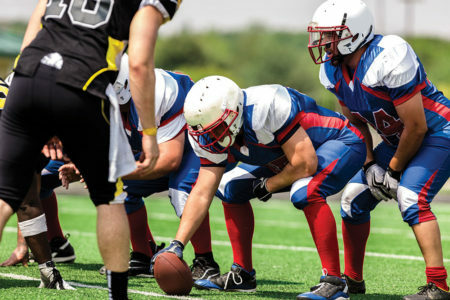 The study population was male collegiate football players at a single university-based preseason training camp. All athletes were older than 18 years; none had known sensitivity to copper. The study was approved by an independent institutional review board, and all eligible athletes gave informed consent to participate in the study. Through the team’s equipment manager, players were issued study socks for use during all practices. After each practice, the socks were returned, laundered, and replaced with another pair of study socks for the next training session. Players were examined at enrollment as well as after 4 and 8 weeks of wear/training. Follow-up sessions at 4 and 8 weeks were performed after a day’s training; the players’ attendance was requested but not mandatory. Physical examination was per- formed by the author (a podiatric physician), including clinical assessment for potential tinea pedis and other skin manifestations, along with photographic assessment. As in the AFSS protocol described above, the author presumed the diagnosis of tinea pedis based on subjective reporting of itching in the presence of observed plantar skin erythema and scaling or interdigital maceration. For qualitative data purposes, the players completed a questionnaire to assess their experience with the trial socks, including self-reported perceptions of comfort, foot appearance, odor, and performance while wearing the socks. Table 1, page 22, shows the demographics of the study participants. Of the original 52 players enrolled, 17 were lost to follow-up during the trial, leaving complete data for 35 athletes. The incidence of tinea pedis in this study population was found to be 19% at baseline (10 of 52 participants) and declined to 9% (3 of 35 participants) at the 8-week follow-up. Of the 10 participants who had clinical signs of tinea pedis foot at baseline, five were negative for podiatric assessment of tinea pedis by Week 8; three discontinued the study; and two did not experience resolution of the symptoms of tinea pedis. Conversely, only one player without clinical signs of tinea pedis at baseline developed symptoms during the study period. The incidence of dry skin for the group was 54% at trial initiation and 43% at Week 8. On a scale of 1 to 10 (10 being highest), the participants gave the socks an overall average satisfaction rating of 8.0 at Week 8. No adverse events were reported during the study period. 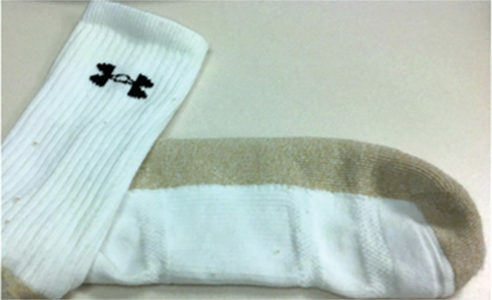 No players experienced a sensitivity or allergic-type of reaction to the socks. In today’s health-conscious environment, physical exercise is recommended, and everyone who exercises is at risk of fungal infection of the feet. Fungi are ubiquitous, and any minor incident (such as shear and friction in a shoe) can create a portal for a fungus to infect and reproduce within the skin layers of the foot. 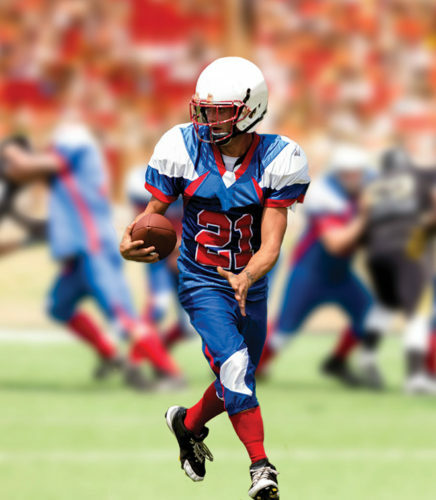 Collegiate and competitive athletes remain at extremely high risk of tinea pedis because of the moisture created from sweating, occlusive shoe gear, and shared showers or locker rooms. Adherence to prescribed topical antifungal medications can be inadequate for healing, especially among college-aged men and women. The presumed initial incidence of tinea pedis among our study population (19%) was consistent with the reported incidence in the general population, but not as high as has been reported among athletes.10 Utilization of the enhanced athletic socks appears to have had an influence on the treatment and prevention of tinea pedis foot symptoms and clinical findings in this group. Of the 10 participants with suspected tinea pedis at baseline, eight completed Week 4 of the study; symptoms had resolved in four players and remained unresolved in four more. Six of those athletes completed Week 8 of the study; symptoms had resolved in four and were still suspected in two. Of the four players whose symptoms had resolved at Week 8, only one had exhibited symptoms at Week 4. These data are summarized in Table 2, page 22. It must be noted that two athletes who reported symptoms at baseline continued to do so at Weeks 4 and 8; however, both noted that they had not complied with instructions to wear the socks daily during the trial. The player who was negative for tinea pedis symptoms at Week 1 but positive for tinea pedis at Weeks 4 and 8 also reported less-than optimal-compliance. The potential to prevent lost time preparation for, and participation in, athletic activity may therefore be significant. The results of the qualitative questionnaire suggest that the athletes had, overall, a positive experience with the socks. Many said that they believed their performance had improved because of the socks. There may be a psychological component to being enrolled in a nonblinded clinical trial and being queried about the experience but, nonetheless, the simple addition of unique socks to a training program was associated with a positive outcome for the majority of players, in terms of the clinical and nonclinical parameters studied. 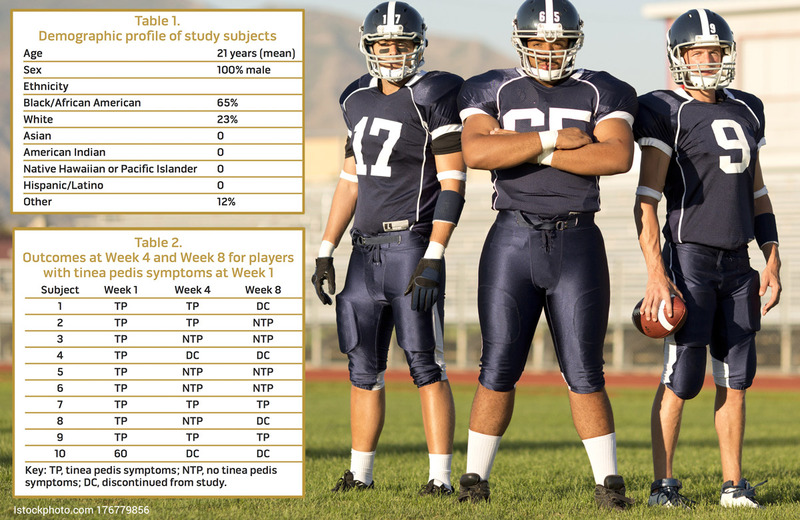 This trial studied only football trainees at a single university located in one geographic area; results might not be generalizable to other athletes or other geographic regions. Another potential limitation of the study is that tinea pedis was not confirmed using a KOH prep or fungal culture. Nevertheless, the diagnosis of tinea pedis based on clinical signs alone is consistent with common practice. Findings of the poll suggest that using a clinical definition of tinea pedis in our study would mimic real-world experience for an athletic trainer who does not have formal medical training managing a group of athletes. Rarely are KOH preps or cultures taken in the usual setting, suggesting that many athletic trainers must rely solely on the appearance of the foot and the athlete’s symptoms to empirically treat a fungal infection. Because topical treatments for tinea pedis are available over the counter, most athletic trainers will make an assessment of tinea pedis and recommend topical therapy. Admittedly, itching, scaling, and interspace maceration alternatively can be an inflammatory manifestation, including dermatitis and eczema, rather than a fungal infection. Another limitation of the study was that the enhanced socks were worn only during training practices. Adherence was not actively monitored outside of scheduled training times. It can be hypothesized, however, that even better results than what is reported here would have been observed had participants wore copper-impregnated socks at all times. The specific antifungal properties of high-load copper-embedded materials technology have subsequently been demonstrated in unique EPA registrations for a textile that can kill 99.9% of tinea pedis fungi after 12 hours of contact with the textile.12,13 These registrations utilize a higher concentration of the technology than utilized in the socks worn this study—and, presumably, would be associated with even more highly positive outcomes. To our knowledge, this is the first case series of athletes utilizing copper textile technology to prevent foot complications in an at-risk population. Despite the lack of confirmation of tinea pedis among study subjects by laboratory testing, data presented here have practical, real-world implications. The results of this trial warrant further investigation and show that a nonpharmacotherapeutic management strategy has the potential to treat or prevent fungal infection of the foot among athletes. Gary Rothenberg, DPM, CDE, CWS, is a podiatrist and Assistant Professor of Internal Medicine in the Division of Metabolism, Endocrinology, and Diabetes at the University of Michigan Medical School, Ann Arbor. Acknowledgements: The author thanks Steve Walz, Associate Athletic Director and Director of Sports Medicine at the University of South Florida, Tampa, and Jeremy Lees, Equipment Manager of the University of South Florida football team, for their support and logistical planning of this trial. Chesapeake IRB approval Pro00007188 provided ethical consent. Disclosure: Financial support for the trial was provided by Cupron Medical (Richmond, VA) and Under Armour (Baltimore, MD). The author has served as a consultant both for Cupron Medical and Under Armour. Robbins CM. Tinea pedis. Available at: http://emedicine.medscape.com/article/1091684-overview. Accessed: January 8, 2018. Cohen AD, Wolak A, Alkan M, et al. AFSS: Athlete’s foot severity score. A proposal and validation. Mycoses 2002;45(3-4):97-100. Field LA, Adams BB. Tinea pedis in athletes. Int J Dermatol 2008;47(5):485-492. Pleacher MD, Dexter WW. Cutaneous fungal and viral infections in athletes. 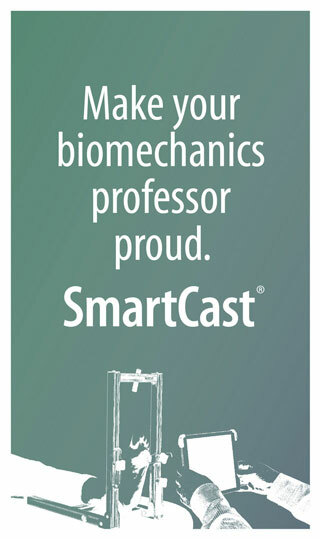 Clin Sports Med 2007;26(3):397-411. Conklin RJ. Common cutaneous disorders in athletes. Sports Med 1990;9(2):100-119. De Luca JF, Adams BB, Yosipovitch G. Skin manifestations of athletes competing in the summer Olympics: what a sports medicine physician should know. Sports Med 2012;42(5):399-413. Borkow G, Gabbay J. Copper as a biocidal tool. Curr Med Chem 2005;12(18):2163-2175. Zatcoff RC, Smith MS, Borkow G. Treatment of tinea pedis with socks containing copper impregnated fibers. Foot 2008;18:136-141. Borkow G, Mellibovsky JC. Resolution of skin maladies of the trapped Chilean miners: the unplanned unground copper-impregnated anti-fungal socks “trial”. Arch Derm 2012;148(1):134-136. Pickup TL, Adams BB. Prevalence of tinea pedis in professional and college soccer players versus non-athletes. Clin J Sport Med 2007;17(1):52-54. Podiatry Management Online Poll. How do you diagnose tinea pedis in your practice setting? 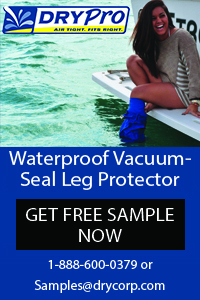 Available at: http://www.podiatrym.com/search3.cfm?id=92929. Accessed (closed poll page): January 8, 2018. US Environmental Protection Agency. Label amendment. EPA Registration Number 84542-10. Available at: https://www3.epa.gov/pesticides/chem_search/ppls/084542-00010-20161221.pdf. Accessed: January 8, 2018. US Environmental Protection Agency. Label amendment. EPA Registration Number 84542-11. Available at: https://www3.epa.gov/pesticides/chem_search/ppls/084542-00011-20161221.pdf. Accessed: January 8, 2018.